The hotel is New, clean and very user friendly. Kostas the owner is such a nice person and does anything to please his guest. The indoor pool is nice and you can also enjoy mountain biking. Considering the price it gives wonderful value for your money. Fantastic, newly built and cozy hotel on the edge of the city! Clean, warm and comfortable spacious apartment rooms with kitchen facilities, fireplace (free of charge) and a separate bedroom. Comfortable mattress and pillows! The ladies and the owner Kostas were very polite and always willing to answer all our questions! Sauna and massage activities at your disposal, along with an indoor swimming pool. Breakfast was rich and included everything: cereals, cakes, cheese and ham, egg, bread rolls and homemade variety of jams. Most were handmade and made by the ladies! You could have the breakfast in the breakfast room, or you could ask to have it inside your room (there is a dining table in your room). 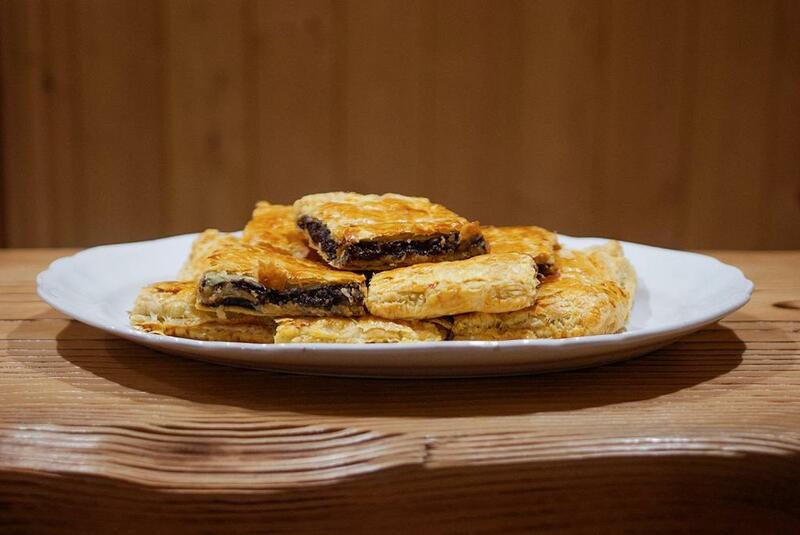 Also, there is a menu/snacks for lunch or dinner. We ordered pizza, one night we decided to stay in, and it was great! 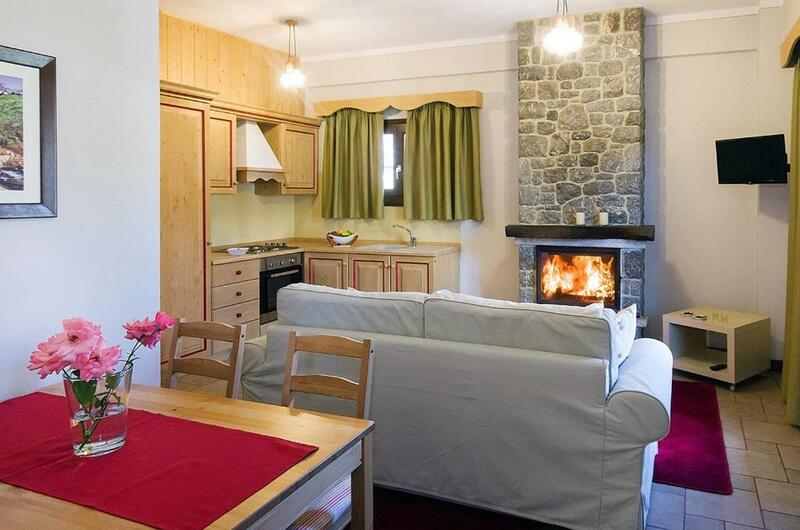 Ideal location, just a 3-minute walk from the train station and the city center! 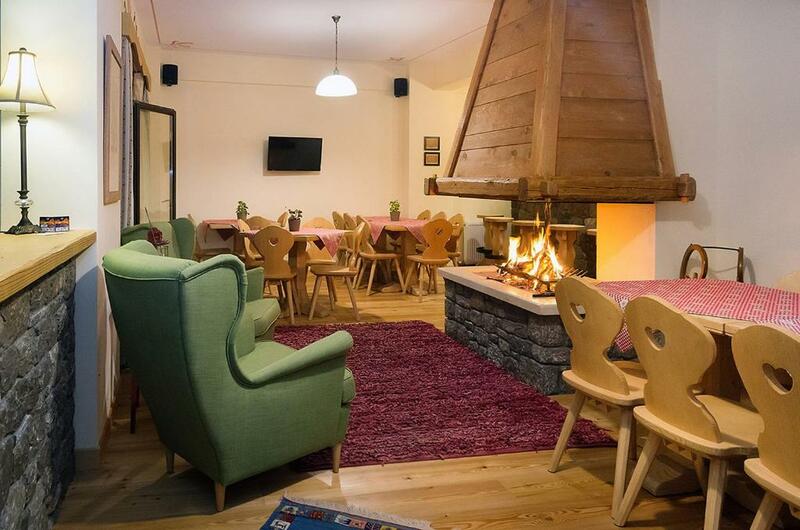 Ideal for couples or families who want to relax and enjoy the stay! A very clean and nicely designed new hotel. The service is very good, breakfast is excellent. It is a good strarting point to walk on the rail, an amazing way to feel this area. 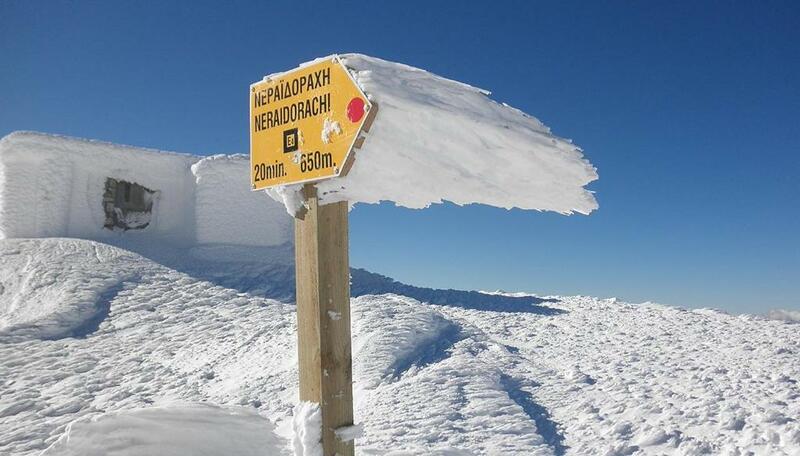 το alpine aria εχει εμφανιση αυστριακου σαλε. ομωσ και οι παροχεσ και η ποιοτητα του ειναι και αυτεσ επιπεδου αυτριακου σαλε!!! πρωινο πολυ καλο. καθαριοτητα αριστη. εξυπηρετηση και φιλικοτητα. η τοποθεσια του ειναι πολυ καλη οποιο μεσο και εαν εχεισ. perfect location,perfect services,perfect breacfast, very clean. Το κατάλυμα βρίσκεται σε τοποθεσία όπου ο επισκέπτης μπορεί εύκολα να προσεγγίσει το κέντρο της πόλης με τα πόδια μέσα σε λίγα λεπτά. Περιοχή ήσυχη που σε αφήνει να απολαύσεις τις ανέσεις που προσφέρει το κατάλυμα και να χαλαρώσεις. 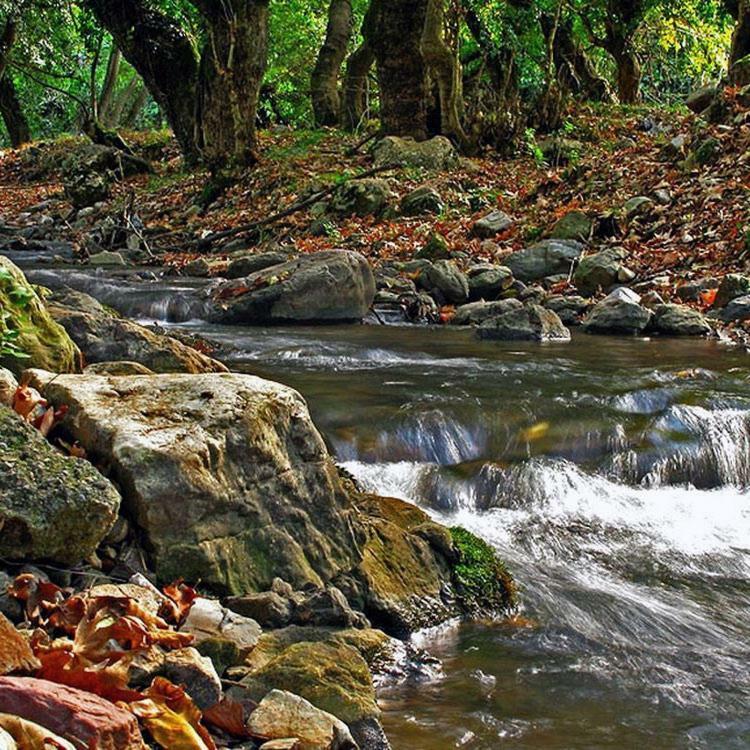 To δωμάτιο τόσο όμορφο και ζεστό όπως και στις φωτογραφίες. Παρέχει πλήρες πρωινό σε ζεστή ατμόσφαιρα με τους οικοδεσπότες πάντα διαθέσιμους να σε βοηθήσουν να προγραμματίσεις μια γεμάτη ημέρα με τις δραστηριότητες που μπορεί να προσφέρει η περιοχή. Η ατμόσφαιρα και οι οικοδεσπότες του καταλύματος συνεισφέρουν για τη δημιουργία μια ευχάριστης εμπειρίας αποφόρτισης και ξεκούρασης. 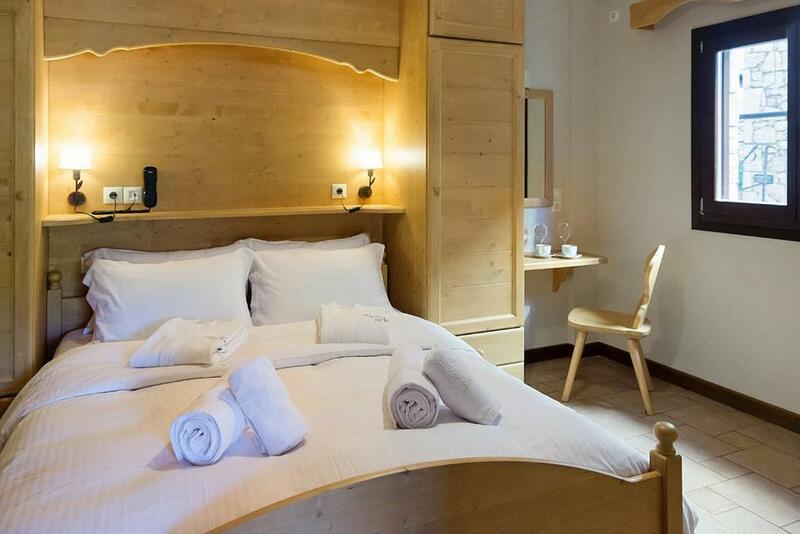 Lock in a great price for Alpine Aria – rated 9.9 by recent guests! 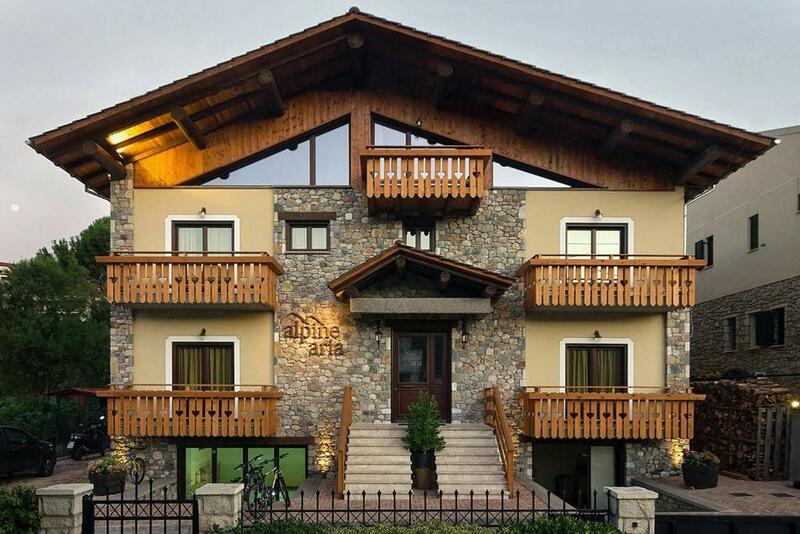 Located in Kalavrita, Alpine Aria has accommodations with free WiFi and access to a hot tub and a sauna. 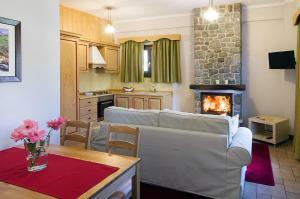 The units have a fully equipped kitchen with an oven, electric tea pot, and a fridge. Some units feature a seating area and/or a terrace. The property has a fitness center and an indoor pool. The monastery of Mega Spilaio is 7 miles from the condo hotel. The nearest airport is Araxos Airport, 63 miles from Alpine Aria. 뀐 Located in the top-rated area in Kalavrita, this property has an excellent location score of 9.8! When would you like to stay at Alpine Aria? House Rules Alpine Aria takes special requests – add in the next step! Alpine Aria accepts these cards and reserves the right to temporarily hold an amount prior to arrival. The neighbors had barking dogs, but that’s not the hotel’s fault. Pretty much everywhere we went in Peloponnese, we awoke to barking dogs in the morning. We were greeted with such a warm welcome the minute we arrived (by Dimitra? Not sure how to spell her name, but she was so kind and helpful!) that I knew it was going to be a wonderful stay. We travelled around Peloponnese for two weeks and this was probably our favorite place. (The seaside is lovely, but so are the mountains and the people in the mountain villages are very nice and sincere.) The apartment was spacious, gorgeous, and SPOTLESS. The pool and other facilities were very well maintained. The owner lent the four of us mountain bikes and he even drove us to the trail and showed us where to go. We went hiking, and they gave us tips about the best places. They’ve built a climbing wall on the outside of the hotel, and Costas (owner) asked us if we wanted to climb. (Our son did it and had a great time.) AMAZING customer service. So friendly and genuine. 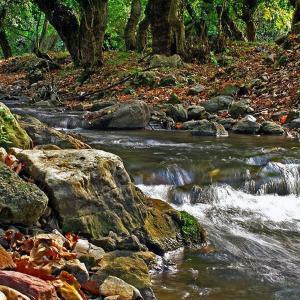 And there’s so much to do in Kalavryta! We only stayed 2 nights, but I wish we had planned a longer stay. The town is lovely and the surroundings are just beautiful. From the hotel it’s just a few minutes’ walk to town (and a museum that even our kids found interesting after 2 weeks of seeing ruins and museums in Greece), there’s a train that tourists can take to the seaside, and there are plenty of hiking and biking trails. We have to go back to see the big tortoises! 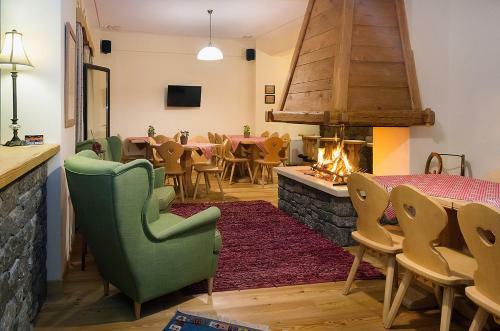 The building is brand new, built about a year ago, the rooms were very spacious, beautifully decorated, there's lots of wood and totally reminds an alpine chalet. Our room had a loft with a double bed where our two daughters slept and there was a separate bedroom for us, as well as a living room area with a fireplace. The owner and staff were very friendly and extremely forthcoming and helpful. Mr. Costas entertained our daughters at the climbing area which has recently been constructed on site (no photos are posted yet), which was very nice of him. 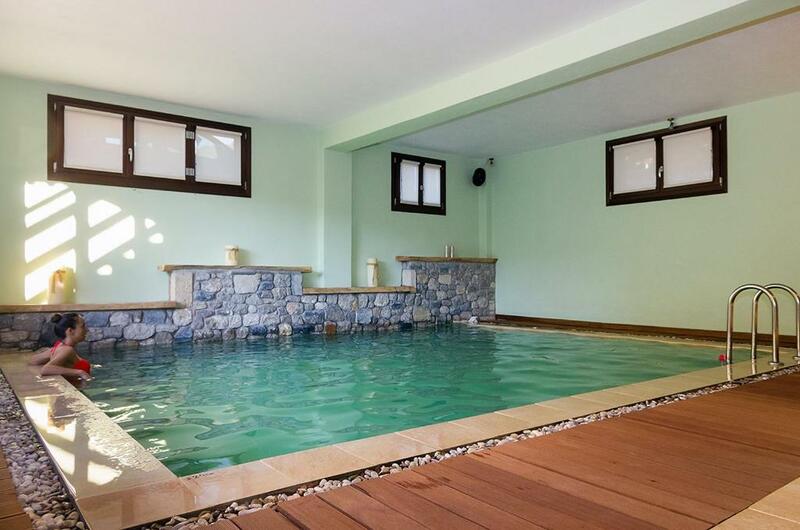 There are mountain bikes available as well as an indoor pool, sauna, jacuzzi and spa area. The hotel was spotlessly clean and the breakfast offered included coffee, tea, hotel chocolate, orange juice, cereals, bread, cheese, ham, jams, honey and eggs (depending on each one's preference - boiled, omelette, etc). They also offered fruits and cake. The hotel is very close to the village center and railway station. In all, we had a lovely experience, at a value for money rate. I totally recommend it! High quality of service and room equipment.